The two opponents reconvened on stream to watch the match back. 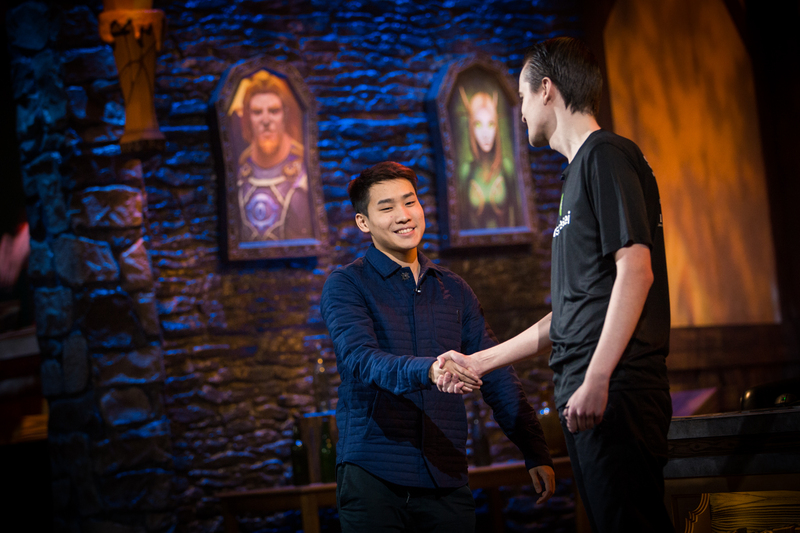 The match between Thomas “Sintolol” Zimmer and eventual runner-up Frank “Fr0zen” Zhang was one of the most entertaining of the Hearthstone World Championship. But it was also somewhat controversial. The matchup between the only two players bringing Mage ended in a crazy Mage vs. Priest encounter, with Sinto’s Priest managing to steal a Jaina Hero card. But the way the series was played drew criticism from their fellow professionals, who thought that the pair made a number of key mistakes in the encounter. It turns out, neither player disagrees. Both Sintolol and Fr0zen appeared on the former’s stream yesterday to go through the series, discuss it, and identify their errors. As early as the first few turns of game one, the pair were already being brutally honest with their performance. Sintolol is no stranger to being brutally honest and forthright in his views, but the stream was a fascinating insight into the decision making of these two players. Particularly when it comes to Discover mechanics, the two players discuss all the options and though process that goes into picking the card that they did—and whether or not they were right. When it gets down to the final game, and things get really interesting, that’s when the pair really rip into themselves. On one particular turn Sinto rails against himself for “tunnelling in” on a Divine Spirit play and is particularly harsh on his own play. You can watch the whole thing on Sintolol’s Twitch channel, and it’s well worth a watch for anyone wanting to get better at Hearthstone—or anyone who’s interested in the decision making of the players at the highest level.